Your Club or Organisation earns $10.00 with every membership ticket sold by you! That's a HUGE 50% from every Membership... The other 50% supports our club @ Frankston YCW Fooball Netball Club. Please note that to be eligible for this incentive, your club MUST sell a minimum of 10 membership tickets. 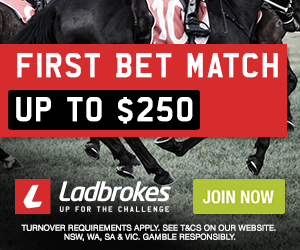 Only ACE Printing VIP Members have exclusive access to the AFL Knockout Tipping Competition and a chance to WIN $5,000 Cash (limited number of membership tickets available). 10% Discount on any printing job undertaken by ACE Printing (upon presentation of your Membership Ticket). Select ONE AFL team each round who you think will WIN. Ring the 1800 number (Free call) and follow the instructions for entering your selection. If you change your mind, simply call again. (If more than one person is left at the end of the competition, the prize will be shared).